Stortford Interiors’ (UK) in-house joinery division, Parkrose has recently commenced work on a major £10 million washroom fit-out package for one of London’s landmark redevelopments, 100 Liverpool Street. The project will reinvigorate the existing outdated building, stripping it back to its structural frame and providing it with a dynamic new modern identity thanks to with a new curving façade and revamped public realm. 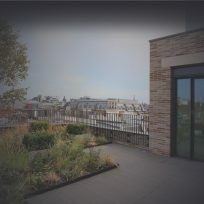 The scheme provides Grade A office space, a new restaurant on the 9th floor with terrace and enhanced interface with the public realm and transport interchanges around, below and through the building. 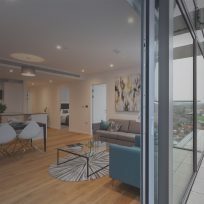 Appointed by Sir Robert McAlpine, Parkrose have secured a wide and comprehensive turn-key package scope. The award includes dyed Oak veneer faced cubicles and doorsets, laminate faced IPS duct wall, Terrazzo & Travertine vanity tops, bespoke mirror faced cabinets, raised access floors, ceramic tiling and associated fittings to the building’s washrooms, changing rooms and shower areas. As part of the scheme Parkrose will also deliver a full Mechanical and Electrical Services installation within the demise. This will provide a totally integrated solution and minimise programme and sequence complications. Scott Shearing and Steve Harvey (Directors of Stortford Interiors) commented ‘This is a very significant award for us. A lot of hard work and effort has been invested by the team to secure the package. We have worked collaboratively with The Client to arrive at best value and provide an array of engineered solutions to benefit the project. 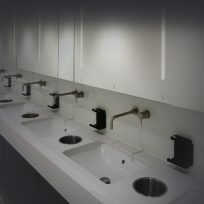 We are proud of the appointment and are fully committed to delivering another successful washroom installation’.